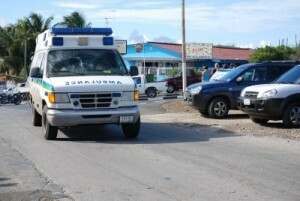 WILLEMSTAD – The Netherlands donates an ambulance to Curaçao. This is according to the Minister of Public Health Zita Jesus-Leito. The ambulance service will receive four in total and one as a free gift from the Netherlands. The ambulance service is in urgent need of cars and equipment. The Court of Audit had strong criticism on the management of the service. The Netherlands will also send two instructors to teach the drivers how to manoeuvre in traffic.